When it’s finally time to head to the dealership and buy your first new car, you obviously have a lot to be excited about! After all, that amazing new car smell is only one of myriad things that makes a new car great. Of course, elements of shopping for a new car can also seem a bit overwhelming if you’ve never been through the process before. Fortunately, the team at Contemporary Automotive is here to lend a hand, and we’ll never pressure you during the shopping process. That’s just one of the reasons to choose our car dealership serving Nashua and Bedford? So, what should you know when shopping for a new car for the first time? With so many options, it can be easy to get wrapped up in bells and whistles when you come in to the showroom for the first time. Having a good idea of what you need beforehand can help to keep you fixed on the best fit for you. When you visit us, let our team know what matters most to you. Is it passenger space? Miles per gallon? Horsepower? The color? When we know what’s important to you, our team near Nashua and Bedford can be one of your best car shopping resources while choosing the perfect vehicle. Our financing experts are here to help you find incentives, special offers, and competitive financing rates that help make your automotive dreams a reality. Even so, you should always have a few key number in mind when shopping for a car. Two of the most important variables in your equation are your downpayment and your monthly payment. Take a look at your finances and decide what you can realistically afford. Let us know what works for you, and we can help you find vehicles or financing options that work for you. If you plan to finance your vehicle, be aware that your credit plays a role. Many first time shoppers have little or no credit history, which puts some limits on their options. Working with our experts can help you find alternatives that work for you, or having a co-signer may open up some options, too. The most important thing while shopping for a car–especially your first car–is to be upfront about what matters most to you in your vehicle.  Whatever your priorities are, we’re eager to exceed your expectations here at Contemporary Automotive. To schedule a test drive, be sure to contact us by calling (844) 500-6722 today.